Consensus among players at NHL All-Star media day: Success of coach Barry Trotz's Islanders has not gone unnoticed. SAN JOSE, Calif. — They’re impressed. Mathew Barzal had not heard that specifically before taking part in his first NHL All-Star media day here Thursday night because he had not run across many of his fellow stars. But by the time the weekend is over, he will know exactly what the rest of the league thinks about the Islanders. No less an authority than Maple Leafs All-Star center John Tavares emphatically agrees with that. “They’re having a tremendous season. 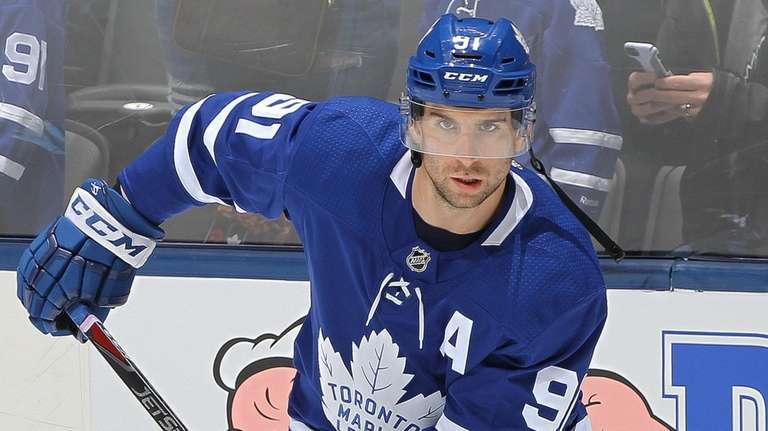 Obviously, it’s a complete 180 on the defensive side,” Tavares said while wearing a Leafs crest at an All-Star gathering for the first time. “Goaltending has been a big part of that, but just not giving up a whole lot defensively and it’s leading to a lot of success, a lot of wins. Tavares, of course, is the reason the season is so surprising. When he left the Islanders as a free agent and signed with the Leafs on July 1, it was widely assumed that his former team was doomed to be among the lottery-chasers. Instead, heading into All-Star Weekend, the Islanders are one point better than Tavares’ current team (which is having a pretty good season). Barzal said he is “a little nervous” as a first-time All-Star, getting to play on the same team with Sidney Crosby, one of his heroes. He added that one of the reasons he is here is that everyone around him in Brooklyn and Uniondale has done so well. He knows what an upset the hockey world considers the Islanders’ first half under coach Barry Trotz. Aside from the impact of coaching, star players have noticed the impact of a change in address, too.